So you've finally decided to pull the trigger (pun intended) and get a mounted light setup on your weapon. Great choice, both for sport and for safety. But now that you've made the choice, you need to maintain your product with accessories that make it as effective and efficient as possible. Grabagun.com has your back. We have everything from holsters for your light-mounted weapon to lamps, bulbs and chargers for your light, and even replacement lenses to keep everything in tip-top shape. A dead flashlight is no flashlight at all. 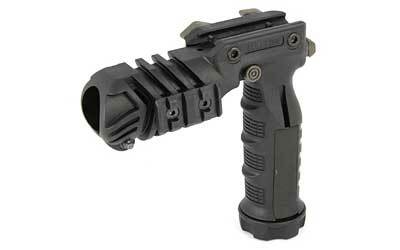 That's why having a properly charged light is the first step in weapon-mounted light usage. Let grabagun.com get you there quickly and reliably with our line of chargers. We have quick chargers for time-sensitive situations (such as when you're on duty or for back-to-back flashlight usage) to desk chargers and even bank chargers. Grabagun.com has light chargers needed by anyone who lives and works in the fast lane. We have colored lenses and glare guards to help you modify your light to suit your specific needs. We also have remotes for easy on/off with a simple squeeze of your finger. And our holsters allow for superior draw technique, even with a weapon-mounted light. These holsters are a necessary item for anyone looking to carry a weapon-mounted light while on duty. Perfect in any situation in which you want your weapon and your light on hand without the inconvenience of separate pouches. The bottom line is that if your light needs it, grabagun.com has it. Look to grabagun.com for all of your light accessory needs.